USB DAP (HID): CMSIS-DAP compilant debug channel. DAPLink interface is important requirement on development board that use ARMmbed - embedded operating system. In addition, it is really essential and useful for IoT developers. DAPLink is an upgraded version of the previous CMSIS-DAP module. 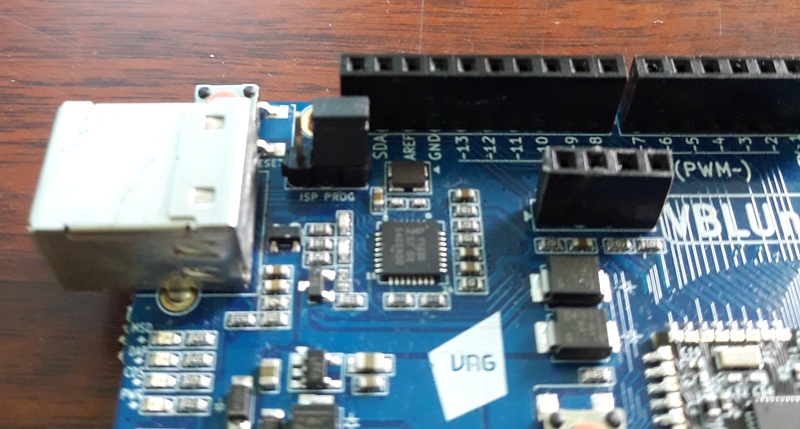 Note: DAPLink interface on the VBLUno51 board has been improved to support the UART hardware flow control feature, ensures data transmission intergrity (RTS/CTS) when using the Virtual COM port (USB CDC). Note: When you buy a VBLUno51 board, the DAPLink onboard was updated with the latest firmware. If it is not really needed, the instructions in this section should be ignored. Step 1: Unplug your VBLUno51 board from computer. Step 2: Use the bridge to connect 1-2 pin on J7, switch DAPLink to bootloader mode. Step 3: Plug your VBLUno51 board to computer. At this time, on your computer show up a new partition with name is : CRP DISABLD. Step 4: Upgrade new firmware. Delete firmware.bin file in CRP DISABLD partition. Copy new firmware (see the above part) file into CRP DISABLD partition. Step 5: Unplug your VBLUno51 board from computer. Step 6: Use the bridge to connect 2-3 pin on J7, switch DAPLink to interface mode (normal mode). At this time, your VBLUno51 board is ready to work with new DAPLink firmware.